Sure, it’s not really customary to bring actual glasses to the beach, but if you have a fancier shindig, why not serve up some seaside cocktails in these tropical tiki highball glasses from the ’60s? The proper beach bag is light, durable and sand-proof. 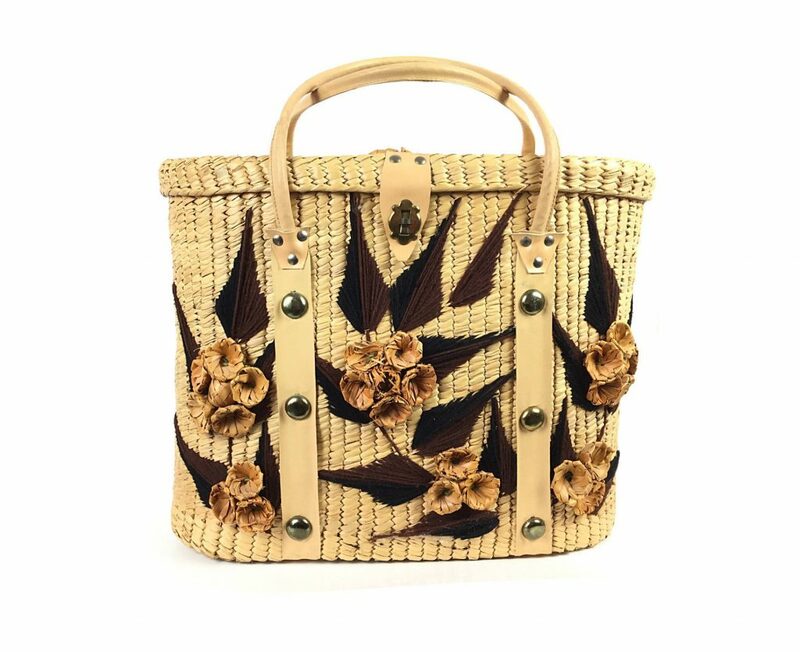 With the added bonus of being vintage, this straw beach tote bag was built for the midcentury-style beach party in the most literal sense. Mon Oncle tabletop BBQ grill V-2. Beach fire pits are great—if you can snag one. If not, bring your own grill to the party. 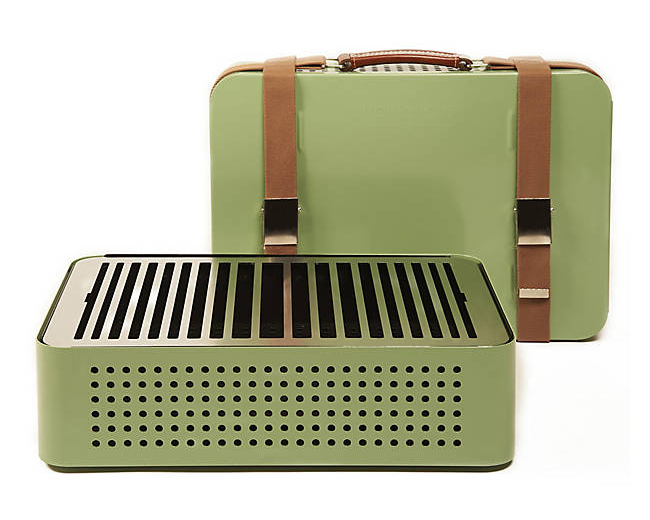 And if you’re going to cook, you might as well cook in style using this Mon Oncle tabletop BBQ grill that comes with its own retro suitcase-style case. 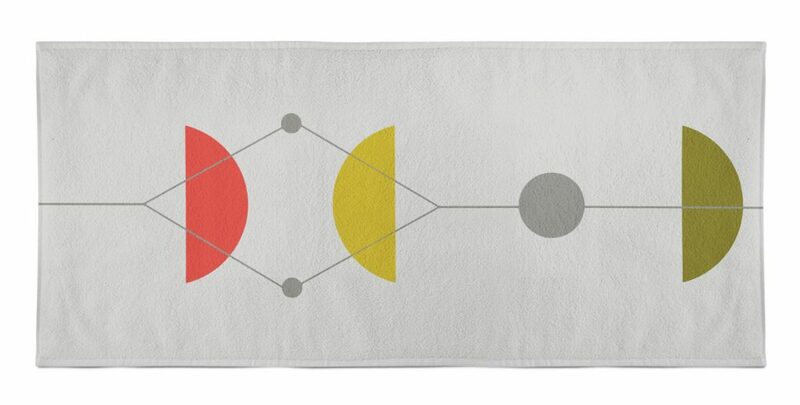 Sandy pants are a no-go this time of year, so if you’re going to relax beachside, you need a proper beach towel. 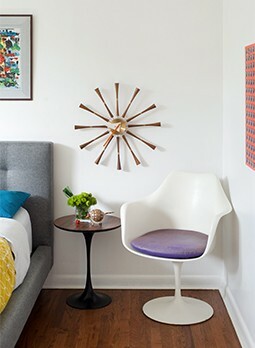 And no modernist should dare go without the San Martin beach towel with its funky mid mod pattern and colors. 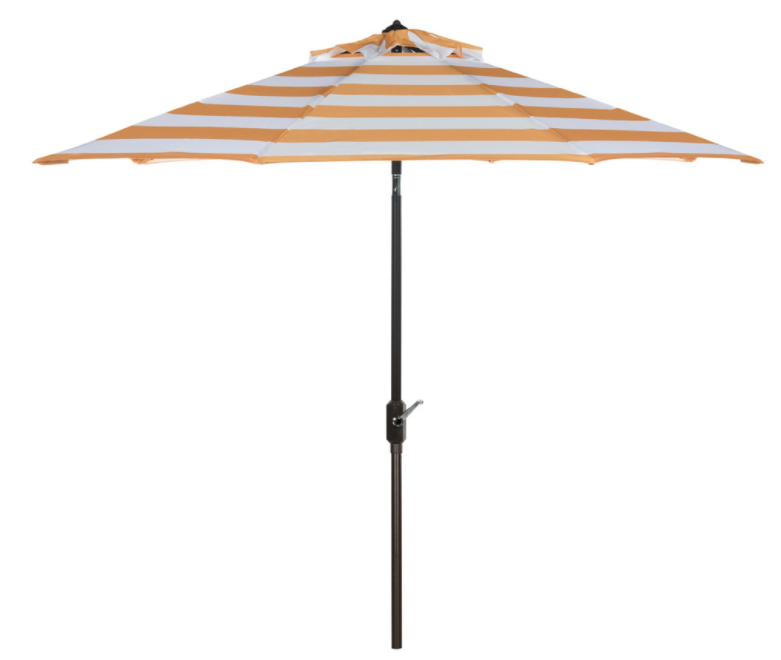 Safavieh Iris fashion line umbrella. Getting some sun is great, but in July and August, the heat is real. Make sure you have a stylish umbrella, like the Safavieh Iris fashion line umbrella, to keep you covered. Finally, no beach party is complete without some proper tunes. 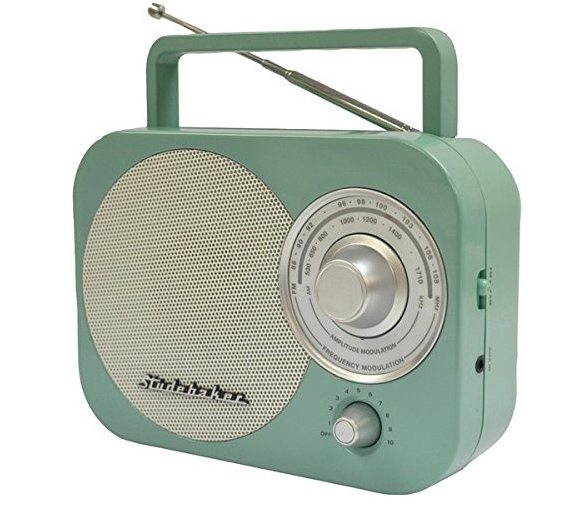 Get your beach music going with this funky Studebaker portable AM/FM radio.